As mobile gaming has become more popular over the years, so to have ways of interacting with those games. Game controllers may be a bit bulky in comparison to phones and tablets, but they offer much greater finesse. 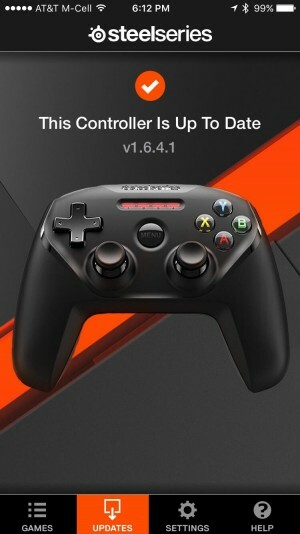 SteelSeries’ Nimbus offers support for mobile devices, but has its target set on another market – Apple TV. With the popularity of smart phones, casual gaming has really come into its own over the last 5-6 years. As the processing power of these devices have increased, so has the complexity of the games they run. Then, tablets burst onto the scene. Within their respective ecosystems, applications that have run on a phone have run on a tablet, giving us a larger screen to view the game, and giving the developers additional space to create a more immersive experience. We’ve seen popular PlayStation games such as Grand Theft Auto come to Android and iOS, which really speaks to the power that these platforms provide. In our meeting with SteelSeries earlier this month at CES, we spent a fair amount of time with its new iOS-only Nimbus controller. In that meeting, we played a few rounds of Geometry Wars 3, running on an Apple TV. While designed with the Apple TV in mind, the Nimbus connects via Bluetooth and can be used with any iOS device back to the iPhone 5. It will also work with fourth generation Apple TVs, iPads from the fourth generation on, and all iPod touches from the fifth generation onward. 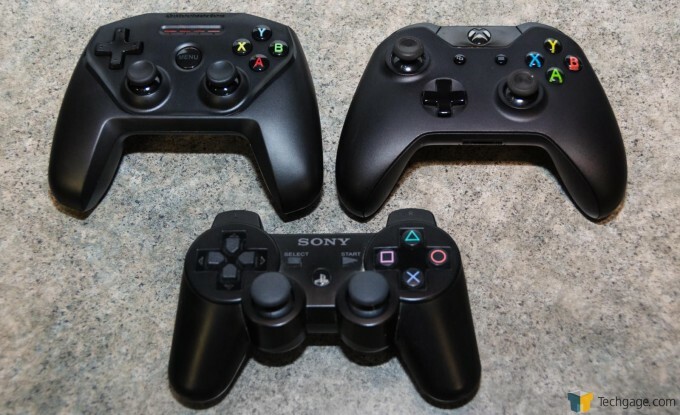 The controller design resembles both the Xbox and the ubiquitous PlayStation controllers. The button layout is that of PlayStation, but in the hands, it feels just like Microsoft’s masterpiece. There are a pair of thumb sticks, with concave tops that can be moved with ease. In the top left corner of the Nimbus is a D-pad, and on the right, the standard A, B, X, and Y buttons. In the center of the controller is a large button labeled “MENU”. In most of the games I’ve played, it can be used as a conventional start button to bring up a navigation window. Finally, above the menu button and running horizontally across the face of the Nimbus, there are four numbered LEDs. These blink to show battery charging status when plugged in and also serve to identify which player the controller is representing. Speaking of the battery, SteelSeries claims that the Nimbus can go for over forty hours on a single charge. 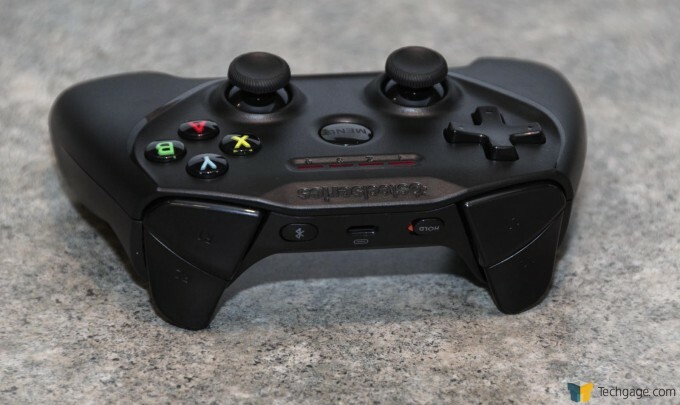 This was not explored in our testing, but when we received the controller, it was 50% charged and our testing involved about 5 hours of sporadic gameplay. At the time I am writing this, the LEDs on the Nimbus indicate that there is still around 50% battery left (2 of 4 LEDs illuminated). At the shoulders of the Nimbus, we find four more buttons. Like the PlayStation controller, there are a pair of bumper buttons (L1 and R1). They are easy to reach with my average sized hands. As we face the top of the controller, we find a pair of trigger buttons (L2 and R2) with a satisfying amount of travel and as good of a feel as anything that Microsoft or Sony have to offer. Between the shoulder buttons is a hold (locking) toggle switch, a charging port, and a Bluetooth pairing button. The neat thing about the Nimbus’ charging is that an Apple Lightning cable is required. Given the nature of this controller, and the systems it’s designed to work with, SteelSeries is confident that the user will have one handy. As a result, one is not included with the Nimbus. Because the Nimbus was designed with the Apple TV in mind, it brings a lot of advantages when paired with the latest generation of those devices, running Apple’s own tvOS. 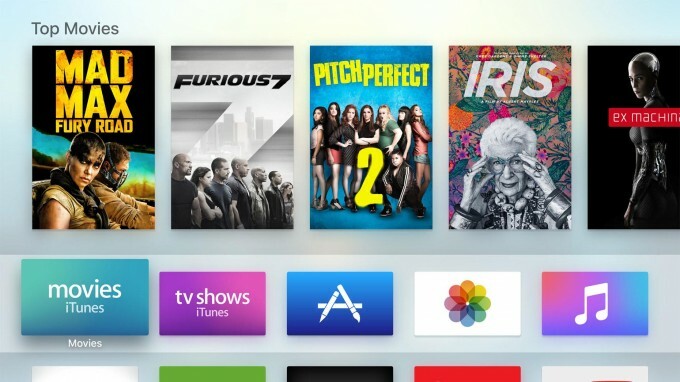 One of the perks that has arisen from the Nimbus being designed specifically for tvOS is that once paired (a very simple process), it will remain connected. When turning the controller on, your Apple TV will come out of sleep mode. Sticking to Apple’s MFi (Made For iPhone/iPad/iPod) requirements, the Nimbus lacks any form rumble or vibration. If that’s a deal breaker, look elsewhere. For gaming on a mobile device or the Apple TV, I can’t imagine that this would be a deal breaker. On the portable front, pairing the Nimbus with an iOS device is as simple as one would expect. Once paired, the controller can be used with any compatible game on the App Store. For testing, I gave Grand Theft Auto III and Geometry Wars 3 a try. In both games, the Nimbus performed perfectly. The response times were quick and accurate. By installing the free Nimbus app for your iPhone, iPod, or iPad, you can browse compatible games, update your controller, or edit its settings. By clicking on a game, you will be taken to that game’s App Store page for easy downloading to your device. The Nimbus is a quality controller. It feels good in the hands, it’s well made, and it’s simple to use. While it can function perfectly with a mobile device, it’s clearly not designed with them in mind. The market that SteelSeries is focused on is clearly those with an Apple TV. Comparing it to competitors, like the Mad Catz Micro C.T.R.L. or MOGA REBEL, each of which has a fold out holder for your iPhone or iPod; the Nimbus is a bit more cumbersome to use with a mobile device. 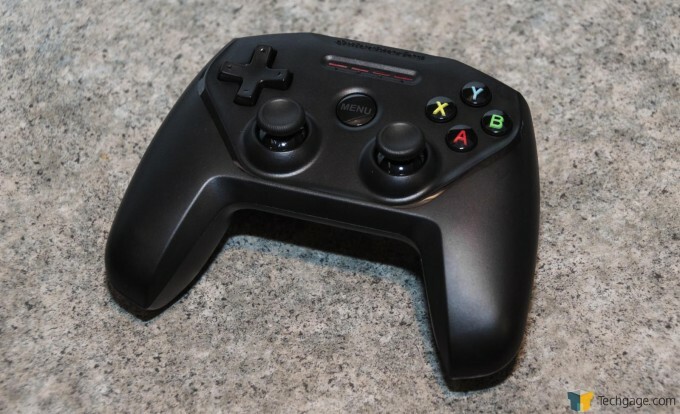 The Apple TV, however, is where the SteelSeries Nimbus truly shines. It’s a great addition to the Apple ecosystem and is perfectly at home when used on the living room couch. Available now for $50 USD, the Nimbus is priced below a standard console controller and built just as well. If you’re in the market for a controller that will let you operate your Apple TV or iOS device, the SteelSeries Nimbus is the one to get.